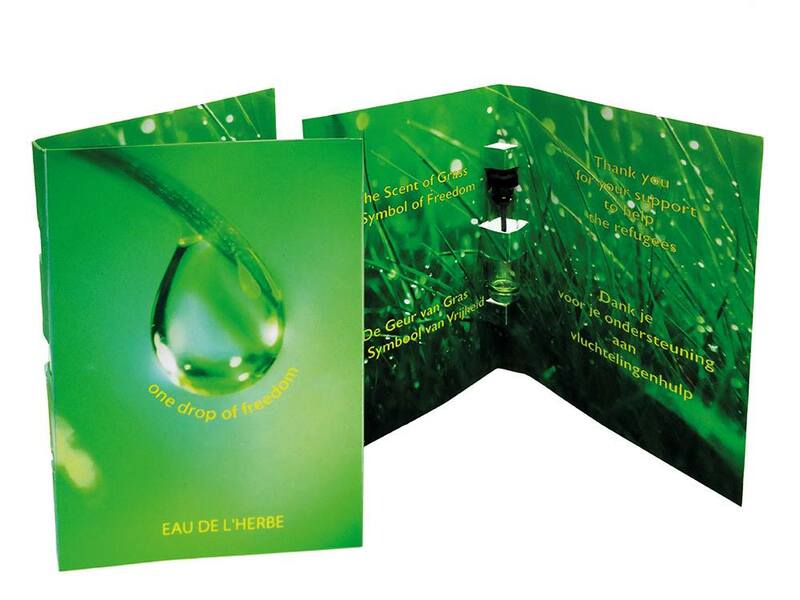 ONE DROP OF FREEDOM: The Scent of Grass, A Symbol of Freedom. One drop can be too much or one drop can help a life… Support refugees, buy one drop of the scent of grass. Your donation – with the cooperation of Peter the Cupere and many other volunteers from the PXL-MAD (Media, Arts & Design) School of Arts – will provide Refugee Aid Flanders and Limburg Platform for Refugees with extra support. “Flemish Refugee” is an organization that defends the rights of refugees and asylum seekers and provides assistance to them. And for more than 20 years, it has put a large group of volunteers in the various refugee committees of the Limburg Platform for Refugees. And please donate on www.one-drop-of-freedom.com to help the refugees and get the scent of fresh grass! Thanks for your time and your heartfelt generosity!